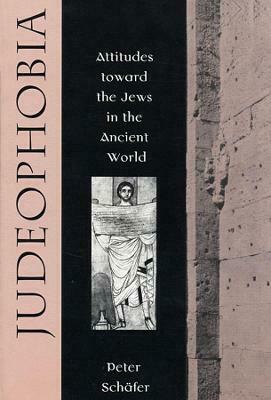 Taking a fresh look at what the Greeks and Romans thought about Jews and Judaism, Peter Schafer locates the origin of anti-Semitism in the ancient world. Judeophobia firmly establishes Hellenistic Egypt as the generating source of anti-Semitism, with roots extending back into Egypt's pre-Hellenistic history. A pattern of ingrained hostility toward an alien culture emerges when Schafer surveys an illuminating spectrum of comments on Jews and their religion in Greek and Roman writings, focusing on the topics that most interested the pagan classical world: the exodus or, as it was widely interpreted, expulsion from Egypt; the nature of the Jewish god; food restrictions, in particular abstinence from pork; laws relating to the sabbath; the practice of circumcision; and Jewish proselytism. He then probes key incidents, two fierce outbursts of hostility in Egypt: the destruction of a Jewish temple in Elephantine in 410 B.C.E. and the riots in Alexandria in 38 C.E. Asking what fueled these attacks on Jewish communities, the author discovers deep-seated ethnic resentments. It was from Egypt that hatred of Jews, based on allegations of impiety, xenophobia, and misanthropy, was transported first to Syria-Palestine and then to Rome, where it acquired a new element: fear of this small but distinctive community. To the hatred and fear, ingredients of Christian theology were soon added-a mix all too familiar in Western history.